Date: Saturday 17 May 2014 Time: 7:00 to late night. The showcase features short works by local and foreign directors made in China or by Chinese talents around the globe. 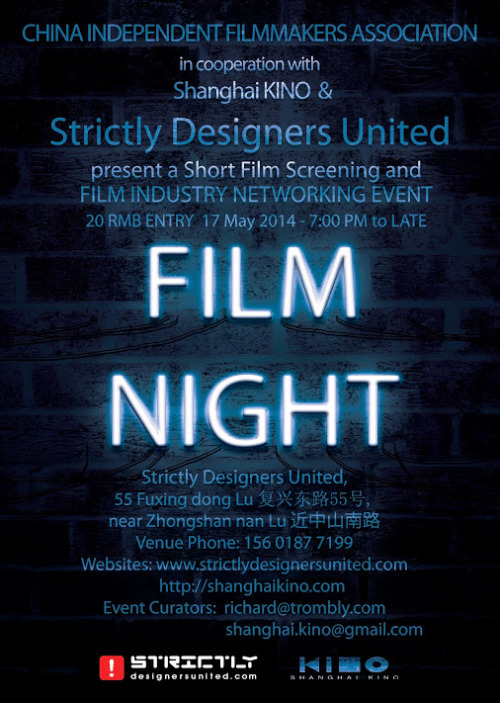 Featured works include Actress/Director Zheng Mei Huizi (Lost in Beijing and Summer Palace) , Yao Garu, Tim Chu, Richard Trombly and more.Some of the film makers will be present to discuss their films Some select films from Shanghai KINO will be played and founder Vivienne Wei will introduce the Kino group and her own experiences in low budget film making.